Every so often I get smacked in the face with the reality that like it or not, Lucy's vision is deteriorating. It hits me like a ton of bricks. The latest realization was when she told Dave a while ago in a sing-songy voice: "When it's the daytime my eyes are blue, but when it's night-time they turn black." It makes me sick to think that those beautiful blue eyes may not be able to see the things around her...us, the beauty of the world around her, her friends, and her possible future family. Our third annual Vision Walk is coming up in a couple weeks. It is essentially a fund raiser to help raise money to help fight blindness. And man alive do we ever want to fight it around here. Last year my sister-in-law called at the last minute and found out about the Vision Walk purely by coincidence. It had come up in a conversation kind of on accident. She and her family jumped at the chance to join us and I got a little bit chastised for not publicizing the event a little earlier. I'm always hesitant to ask people to join us because I know Saturdays are rough. I know they are busy. But I'm always looking for good opportunities to make my kids aware of what's going on in the world, including fighting things like that bad-word-in-our-family: "blindness," so I may as well make others aware of things like this. It's a great way to get kids involved in a good cause and to help them be aware of the hundreds of thousands of people who's lives are altered because they can't use those eyes of theirs. There are myriads of different clinical trials and research threads going on, and oh how hopeful we are that something will pan out for Lucy and others who would like to continue with that gift of sight. But they need funding to be able to continue that research. We'd love to have anyone come join us who can. Please follow this link for more information about the walk. Follow this link to join our "I Love Lucy" team on March 31st (you may have to search for the "I Love Lucy" team...not sure if that link is perfect. There is no charge for walking with us and there are all kinds of fun things for kids set up where the walk takes place. If you cannot join us for the walk but would like to make a donation to help fight Lucy's specific type of blindness, click here. Thank you, thank you, thank you. They also need volunteers at the walk. What a great thing for youth to be involved in. Here is what it says on the website about the volunteer opportunities: "We are also recruiting volunteers to join us for the morning of the Walk. Volunteers are important members of the life line of any successful Walk. It’s a great way to participate and be a part of the day. You will receive a T-shirt and breakfast! 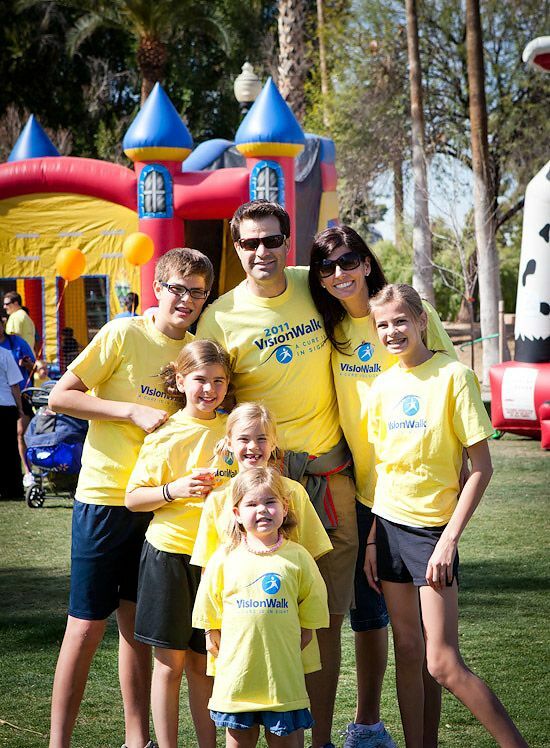 If you or someone you know is interested in being a volunteer at the Arizona VisionWalk please contact Alayna Tatum at Atatum@FightBlindness.org." We'd sure love to see you there in any capacity. p.s. If anyone wants to post our vision walk link on their own blogs or Facebook to help us create awareness, please feel free! Click here for the link. We'll take any help we can get to help spread the word. I feel your pain. I often forget that blindness is a reality of our future. Then I'll hear Tyler say he can't see something in the dark and my heart hurts all over again. It will be our year anniversary of his RP diagnosis on the 17th. I hope your Visionwalk is a success. I'm looking forward to ours in June. Thank you for the information on Vision Walk. I never knew of it before. I would very much like to participate in the one here in San Diego, in November. I understand what it's like having a blind family member. My father lost his vision about 13 years ago, and it hurts my heart that he's never been able to see his beautiful granddaughter or how handsome and strong his grandsons have turned out. If I can do something to help fight blindness and save another individual and family from this heartache & challenge, count me in! Thanks for the links! Also, it's not just you. I'm a trainee teacher and at the moment I have a class of 30 kids who are about Lucy's age. She's definitely a great little artist! Ouch my heart! A sweet innocent comment from a five year old that must have cut you to the core. I do not know the ins and outs of donating abroad so my family will be making a donation to a research project doing similar work here in the UK. Would that I lived closer and could walk with you. For you. For Lucy. I agree. She is a gifted artist, and so blessed to be in your family. That must be completely awful on her and you. I cant imagine what you are all going through. Lucy, is such a beautiful little girl. I think her art is amazing. She is a great little artist. 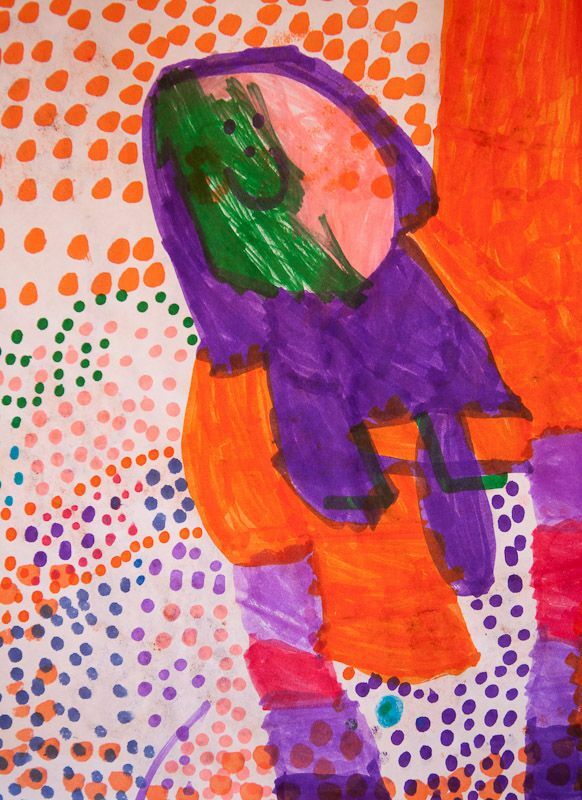 I was reading a blog the other day (I don’t remember which one) and they had taken one of their childs drawings and send it in to a company and they made a stuffed animal that looks JUST like the drawing. If you could do that, it would be a wonderful way for her to always have something close to her that she created. This is the website that I found that had some, I don’t know if you order it off of there or they can direct you to a company to do it. Anyways just thought that would be special for her. I am the newest follower of your blog. It is absolutely lovely. Every post shows how much love you have for your family. The comment your daughter made about her eyes turning black.. That killed me. I can only imagine it did the same for you. As Mothers we want nothing but the best for our kids. Sometimes there are things that are out of our hands, and it is the most helpless feeling in the world..
Love that Lu! She has the prettiest eyes and I am amazed at how well she can draw at her age and how into it she gets. We would love to do the vision walk.